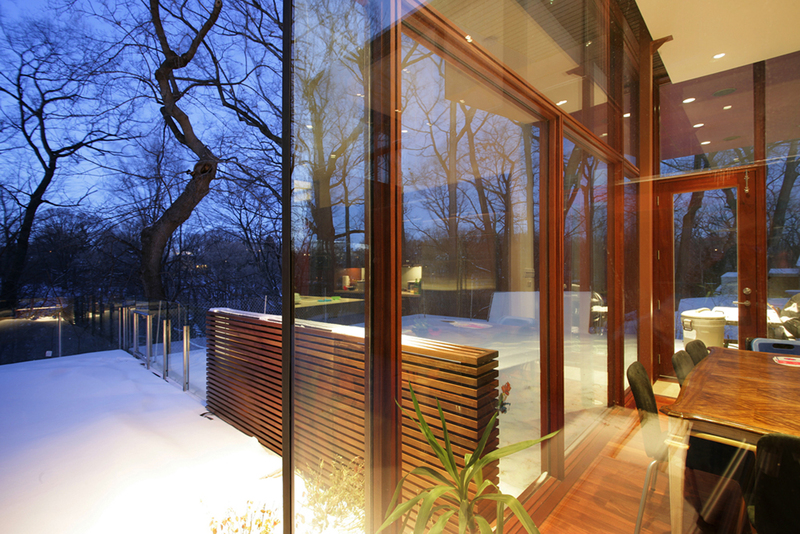 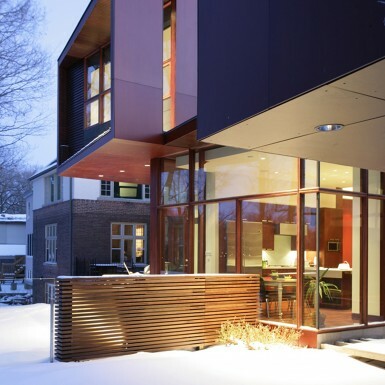 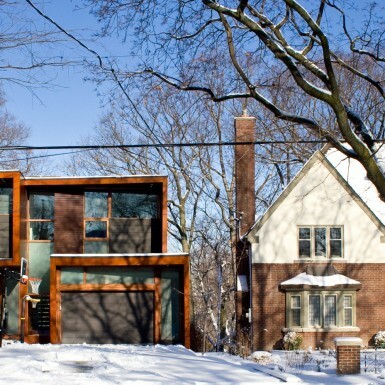 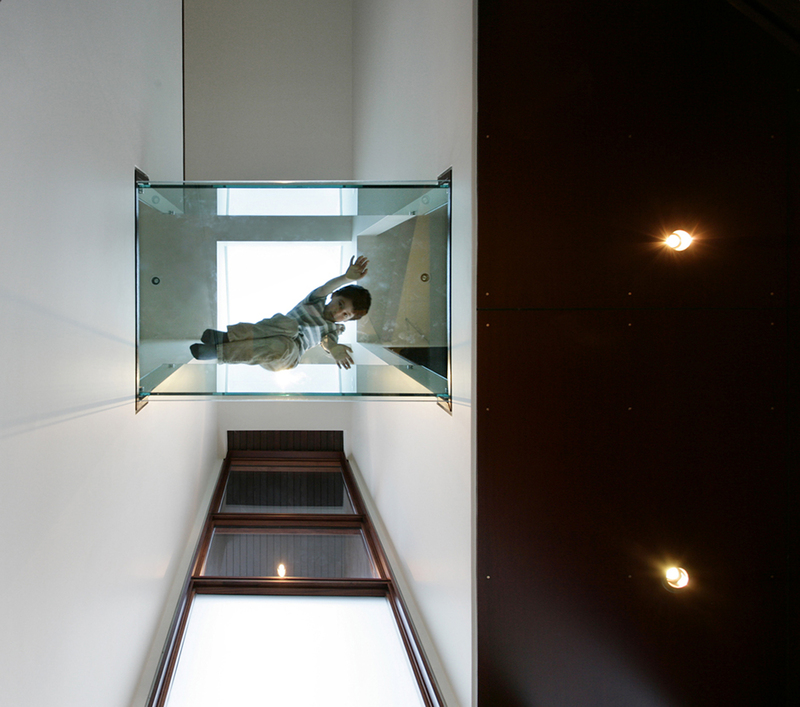 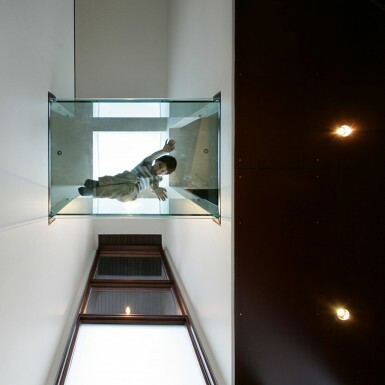 This private residence is located on a small urban site in downtown Toronto, overlooking a densely treed ravine. 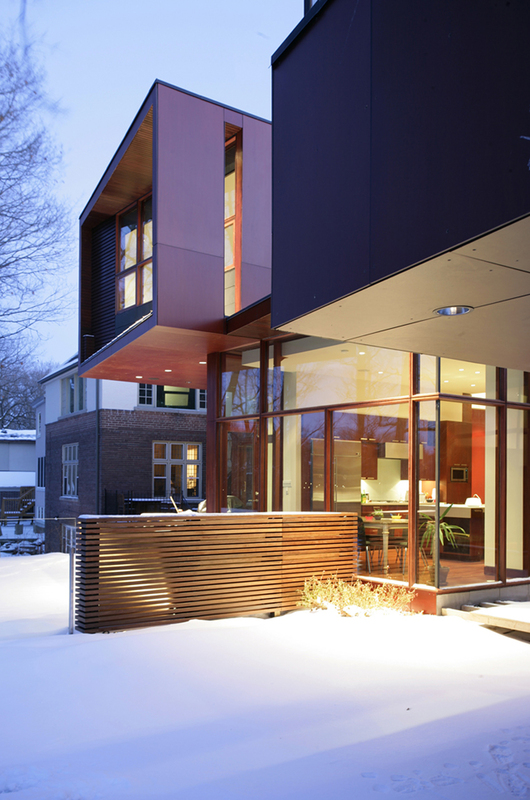 The house is tightly flanked by neighbouring homes, making the most of its oblong site and extending graciously into the ravine below. 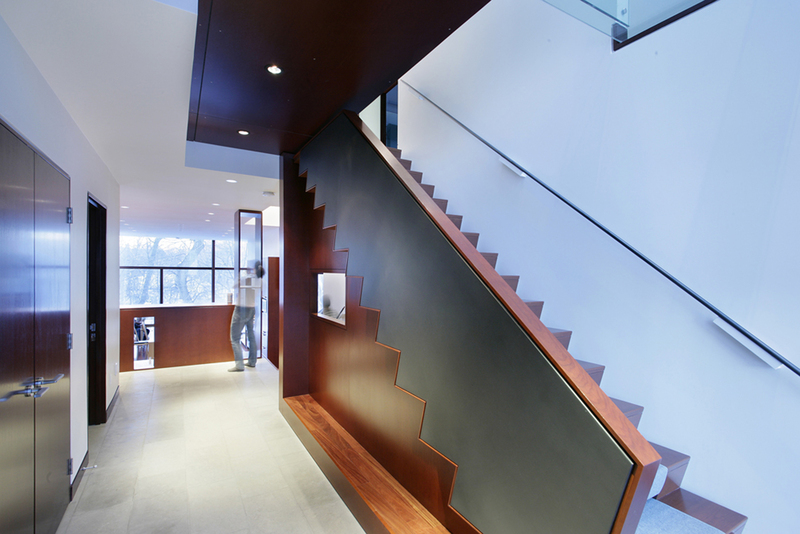 The house is comprised of a series of stacked linear boxes on two-storeys. 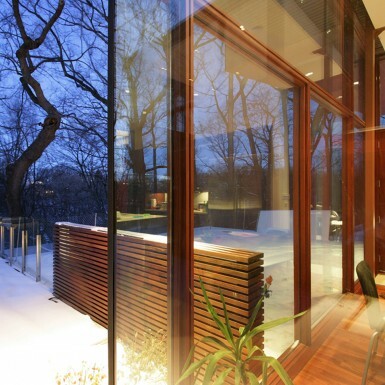 Lateral shifts between the boxes allow light to filter between floors, as well as create a variety of well-defined indoor and outdoor spaces. 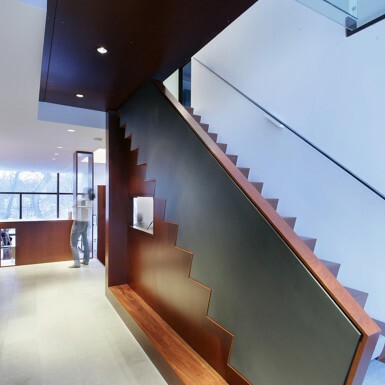 The select palette of interior materials and the careful detailing of all finishes results in an elegantly articulated architectural composition.